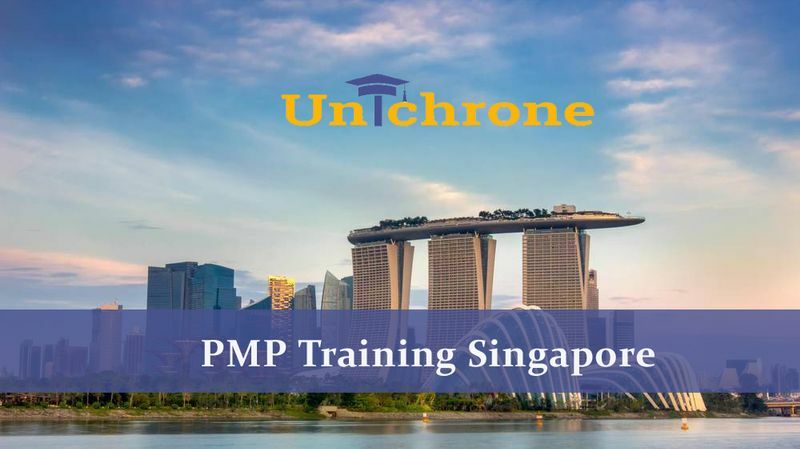 Unichrone Learning is a corporate training institute that provides extensive and comprehensive PMP Training in Singapore that will enable you to clear PMP exam with ease, and thereby, improve your employability. The PMP Exam Prep Training in Singapore is not just interactive, but also ensures that you will be able to plan and execute minute details of any project from conception to conclusion. PMP Training Course is recognised around the world, and the project managers who acquire the PMP Certification, is highly sought-after. The PMP Training offered by Unichrone covers five performance domains that are integral to each phase of a project. The PMP Certification Training Program is designed to provide comprehensive knowledge and understanding the scope of a project, the costing and other essential areas of project management. As a result, candidates acquire the right skills and knowledge to manage projects efficiently and effectively in real-world situations. When enrolling for PMP Training, you can opt for Live Instructor led Online Sessions or In-Classroom Training to improve your competence to appear for PMP Examination successfully. The PMP Exam Prep Training in Singapore will help you to master the principles of Project Management that are highlighted in A Guide to the Project Management Body Knowledge - Sixth Edition, and form the basis of PMP exam. Enroll now for PMP Training in Singapore and give wings to your dreams of becoming a project manager. Unichrone is a Professional Training Institute; we provide PMP Exam Prep Training in Singapore through classroom & live online virtual modes. Now attend PMP Certification Training Course from various available schedules. PMP Certification Training is now available across multiple cities in Singapore, Enroll today to gain the PMP Certification in Singapore. Enroll now for PMP Training in Singapore.